Alia Bhatt and Shah Rukh Khan starrer movie ‘Dear Zindagi’ proved to be a super hit movie. Alia Bhatt and Shah Rukh Khan starrer movie ‘Dear Zindagi‘ proved to be a super hit movie. The movie has collected Rs 32.50 crore in the opening weekend, isn’t that great? 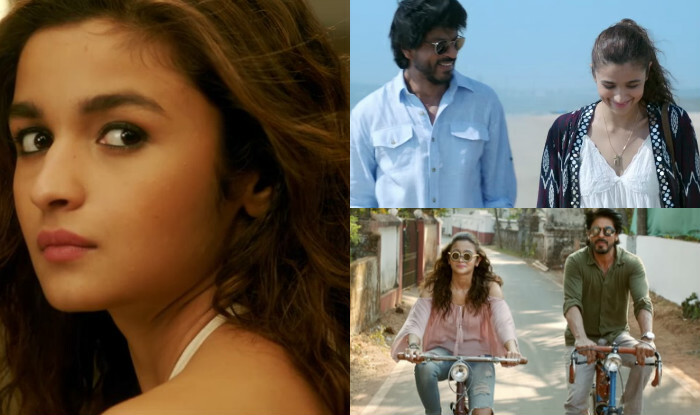 Director Gauri Shinde’s ‘Dear Zindagi‘ is winning hearts across the globe and audiences are praising the stars for their spectacular performances. It seems as if Shah Rukh and Alia have changed the perspective of the people and the film is truly winning at the box office. The weekend collection from the overseas market ( best in USA and Canada) is Rs 27.45 crore, which is quiet impressive. The film collected Rs 12. 50 cr on Sunday. Alia who was exclusively quoted by the leading entertainment portal BollywoodLife said that the box office numbers shows the stars how exactly the audiences are reacting to the movie. ‘Dear Zindagi’ scores have showed a super growth on the weekends and the film so far managed to collect Rs 8.75 crores on Friday. On Saturday, the movie saw a great hike when it earned Rs 11.25 crores on Saturday and on Sunday the numbers almost rised thirty percent a day. Alia and Shah Rukh’s movie already earned Rs 20 crores in Indian market and this super life changing movie beats Alia’s “Kapoor & Sons” movie which featured Sidharth Malhotra, Fawad Khan and Alia Bhatt in leading roles. This movie was released in 1500 screens, whereas Shah Rukh’s movie “Dear Zindagi” was released in 1200 screens. “Dear Zindagi” collected $1.4 million in just five days in the US and about $1.2 million in the Gulf States. Alia Bhatt and Shah Rukh’s film collected $225,000 in UK and in Australia the film has bagged $136,000. Stay updated on the go with Mangalore Diary News App. Click here to download from Google Play Store. Next articleTea vendor Yahiya who pledged not to grow hair on his half shaved head until PM Modi is voted out of pwer.